Yvonne Madria (Jones) Kulbeth,78, was born March 14, 1941, in Duncan, to Benny Eugene and Ira Velma (Cox) Jones. 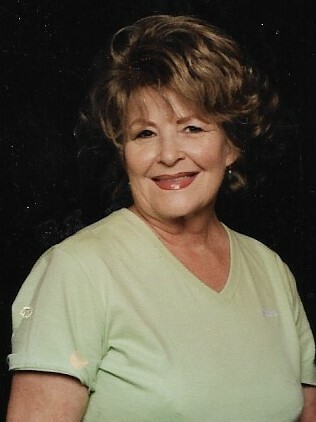 She passed away on April 11, 2019, in Comanche. A private family memorial service will be held at a later date. Cremation arrangements have been entrusted to Whitt Funeral Home/Oakcrest Cremation Center. Yvonne was a member of the 1959 graduating class of Duncan High School. She married Jimmy Wayne Kulbeth in Duncan on October 28, 1961. He preceded her in death on July 3, 1984. She was a member of Ray of Hope Church. She loved mission work and went on many mission trips to the South Pacific. She enjoyed old classic movies with John Wayne and watched all of the Turner classic movies. Most of all she loved her family, including all of her grandkids. Yvonne is survived by her sons and daughters-in-law, Chad and Angie Kulbeth of Norman and Jon and Heather Kulbeth of Comanche; grandchildren: Tyler Linney, Chase Linney, Madison Kulbeth, Grady Kulbeth, Khloe Kulbeth, Courtney Dennis, Mason Kulbeth and MaKenna Kulbeth; and sister, Lucretia Jones. Preceding her in death were her parents; her husband, Jimmy Kulbeth; son, Jimmy Todd Kulbeth; grandson, Hunter Wayne Kulbeth; and two brothers, Benny Wayne Jones and Michael Jones.